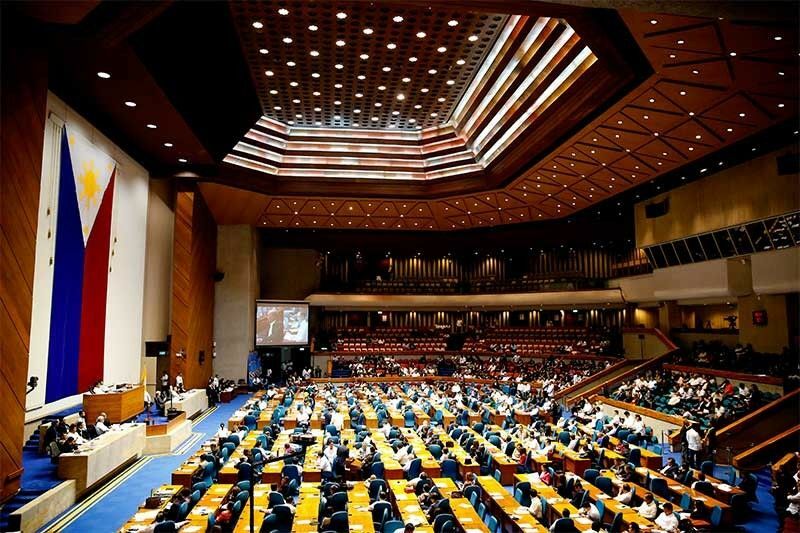 MANILA, Philippines — The House of Representatives had not withdrawn its own version of the 2019 budget bill, Speaker Gloria Macapagal-Arroyo (Pampanga) said Tuesday, contrary to reports saying the lower chamber would recall its copy of the spending plan which senators claimed contained post-ratification adjustments. “No, we have not withdrawn our version. We’re in discussions about what is the proposed new version,” Arroyo said in a change interview—a transcript of which was sent to reporters. “I’m going to meet today with the House members... and with Congressman Ronnie Zamora (San Juan City),” she added. Rep. Rolando Andaya Jr. (Camarines Sur) insisted that the House only “itemized” the lump sums created during the bicameral conference committee on the budget bill, adding that the Senate also did the same to the spending plan after it was ratified. According to reports, Sotto and Sen. Panfilo Lacson in separate interviews said Zamora—who Arroyo sent last week to “negotiate” with the Senate—told them that the House leadership agreed to withdraw its version of the budget bill and transmit the one ratified by Congress last February 8. “We will insist on no lump sum because that is what is unconstitutional. That’s what we will insist, no lump sum. Now, as to the details, that’s the one that we’ll see,” Arroyo said. “If we don’t come to an agreement and then Tito Sotto does not sign the bill, then there’s no bill to send to the President. So I do not know if we will but I would wish we would,” she added. The inter-agency Development Budget Coordination Committee last week cut its 2019 gross domestic product growth projection to 6-7 percent from 7-8 percent originally as new projects remain unfunded due to the budget deadlock.